It might be fairly said that coffee fuels America. More than half of Americans over the age of 18 say that they drink coffee on a daily basis and over 45% say that it helps them stay productive while they're at work. For some of us, coffee is comforting -- we might've woken up to the smell of coffee brewing as a kid and then started drinking it as teenagers or young adults. The habit of having a morning cup and afternoon cup (and the occasional evening cup) is pretty standard. Some of us have a coffee brand we stick to, while others are looking to branch out. Younger consumers are curious about where their coffee comes from and how it's being sourced. A coffee bag design can have a big impact on millennial shoppers looking to branch out. 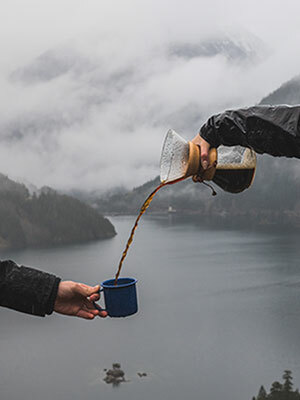 These days, consumers are branching out from the generic coffee brands, going to more small coffee shops, enthusiastically trying new and different types of caffeinated beverages (see: the rise of cold brew and nitro brew), and paying more attention to where their coffee comes from. But the base need remains the same -- to get caffeinated. Though it's true that too much coffee (like any good thing) isn't the best for you, the right amount can be extremely beneficial. According to some studies, 200 mg of caffeine can help you pick out words and phrases faster than without drinking coffee. For those who take a little longer to start in the morning, coffee can be a godsend to keep up with the morning people. And though most people use it for stimulation purposes, it's also been shown to reduce your risk of certain types of cancer and type 2 diabetes, among other health issues. Why Is Coffee Bag Design So Important? Branding is everything and packaging plays an important role in that. 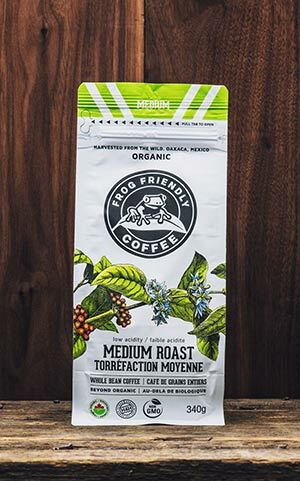 Coffee packaging bags, coffee bag labels, and the design on printed coffee bags all play a part in catching the consumer's eye and getting them to actually pick up the bag. And once they've picked it up, it can't just be a pretty coffee bag design -- the information has to be helpful too. Around 85% of shoppers said that whether they bought an item or not was informed by reading the product package when they were shopping. Many shoppers are also just out to browse, so if you can get their attention with your packaging, you may also be able to entice them into a sale. Indeed, businesses that paid close attention to their packaging saw a 30% climb in interest from consumers. The design, of course, needs to fulfill its practical function overall. But who says it can't also be pretty? Research on the demographics you're targeting and what works for them -- minimalist, bold colors, feminine, clean cut, etc. -- will help you narrow down and decide on what route to go when it comes to designing the packaging. How Can I Improve My Coffee Bag Design? If you're not selling the units you think you should be, it might be time to reassess your branding and packaging. Check out your competition -- do they have a similar product that's selling well? What sorts of branding or design elements are they using? What are the demographics they're appealing to? Focus groups and surveys can help solicit and gather feedback that can help you improve your design. After all -- it's about knowing your customer and what he or she wants. Whether it's a sleeker design, a better sourced bean, or better flavor, those are all things you can address in the packaging. Buying from organic farmers? Let the consumer know that! Developed a new technique for roasting coffee beans? Say it loud and proud. Let your packaging work for you. Design is a huge element for success in today's market, and you want to make sure that you're on top. Get your customers caffeinated and enjoying your product with a good coffee bag design. Not sure where to start? Check out the EntrepreDOer’s guide to selecting the right coffee bags for your business. Ordering from Roastar is easy - get started by calling our highly trained customer service reps. Not a phone person? No problem! You can do it all online and start your custom printed bag project there. If you need it, we’ll guide you through the entire process with our online chat. We’re constantly improving our website to make the process even easier than it already is. And something we’re really proud of - our bags are made in the USA, not to mention the fastest turnaround time in the industry!